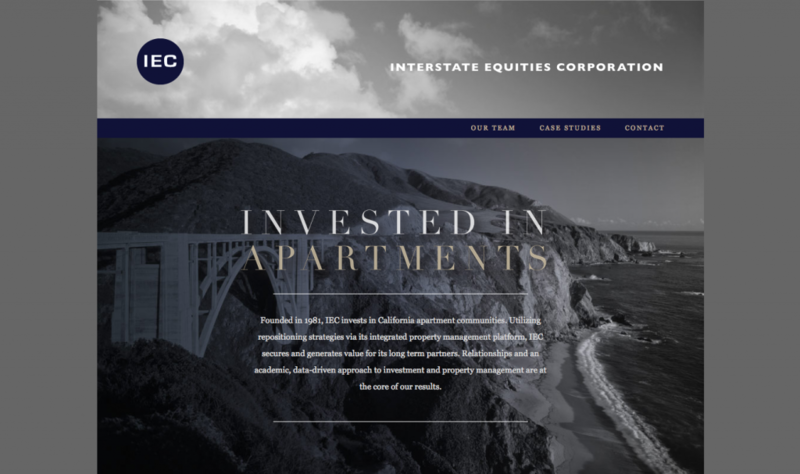 Interstate Equities Corporation invests in California apartment communities. Focus97 collaborates with designers who need a capable firm to develop and build their design concepts. Interstate Equities’ website was designed by Erik Olsen.